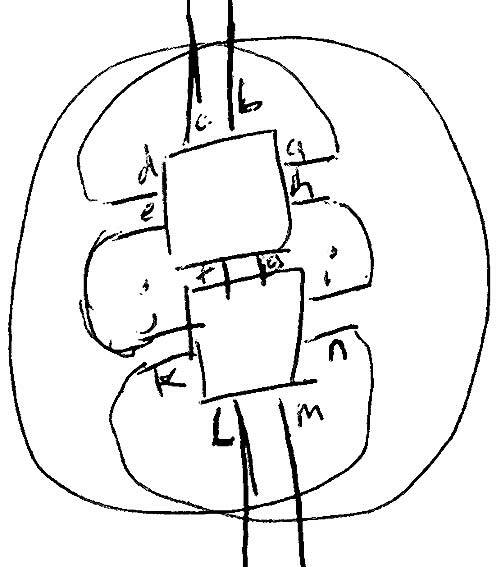 So, start by sketching out the 2 centres, one over the other connected, two cords coming in the top and out the bottom. These are the assumptions I started with. So, then there are 2 cord terminal points on either side of each centre. How should those points be joined? 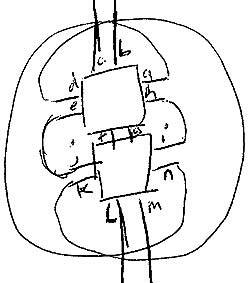 This is my first layout sketch. So, what do you think? Will it work?